I’ve always made it a policy to reply to every e-mail or information request that I receive. The good news is that my blogs have become very popular. The bad news is that I now receive literally hundreds of e-mails and inquiries every day, many asking questions or for advice, and I just can’t keep up anymore. So, I’ve assembled this information which provides direction for most of the types of inquiries I receive. First, let me tell you what I do and don’t do, and provide some guidance for you to find the resources you need. I am not a DNA testing company and I don’t do DNA testing. There are no free DNA tests unless a private individual wishes to pay for your test for genealogical reasons. Consumers must pay the testing companies for the testing service. I write Personalized DNA Reports for both Y-line and mitochondrial DNA. I do not do reports for autosomal DNA nor telephone consultations. To order a Y DNA report you must have tested to at least 37 markers at Family Tree DNA, and for a mitochondrial report, you must have tested at least to the HVR2 level, although the full sequence is preferred. I provide a “Quick Consult” service where you can ask a DNA related question related to Y, mitochondrial DNA, autosomal or a combination of the above via e-mail. The Quick Consult is designed for quick questions that do not involve complex genealogical situations and can be answered in less than an hour. I do not do phone consultations. For other questions and requests, I have written several articles to help you help yourself. You can find them on my website at www.dnaexplain.com and on my blog, below. The search box is in the upper right portion of the screen. If you’re looking for a DNA testing company, I recommend Family Tree DNA at this link. They are the only DNA testing company that offers all of the different types of genetic genealogy tests and they do not sell or otherwise disclose your DNA. First, check the help link which includes adoptee and parent-search information. I’ve answered the most common questions there. All adoptees and people searching for a birth parent or missing grandparent should visit www.dnaadoption.com and utilize their methodologies. Confirming Enslaved Ancestors Utilizing DNA webinar by Melvin Collier through Legacy Family Tree Webinars – available to watch anytime. I strongly recommend that you join the African Descendant’s Genetic Genealogy Facebook group. If you are looking for someone to walk you through “what to do” with autosomal DNA, you can take a “how to” class. If you are looking for someone to personally walk you through your DNA results, Diahan Southard provides that service online through her firm www.yourDNAguide.com and you can contact her at Guide@yourDNAguide.com. If you are looking for someone to help you work through your autosomal DNA results and associated genealogy, Jennifer Zinck provides that type of combined service. You can contact her at jenzinck@gmail.com. Both Diahan and Jennifer provide a “tutoring” service. I have made a referral arrangement with Legacy Tree, a company offering professional genealogical research services. Their staff includes an exceptional genetic genealogist, Paul Woodbury. Paul is both a certified genealogist as well as a genetic genealogist and he is excellent. Legacy Tree has offered a $50 introductory coupon if you mention my name (Roberta Estes), which assures that my genetic genealogy clients are directed to Paul. To take advantage of this offer or to receive a quote from Legacy Tree, click here. For other genealogical assistance, please visit www.apgen.org. FaceBook has an ISOGG group. Last, if you are going purchase anything from the following entities, will you please do me the favor of clicking through the following affiliate links when you purchase. 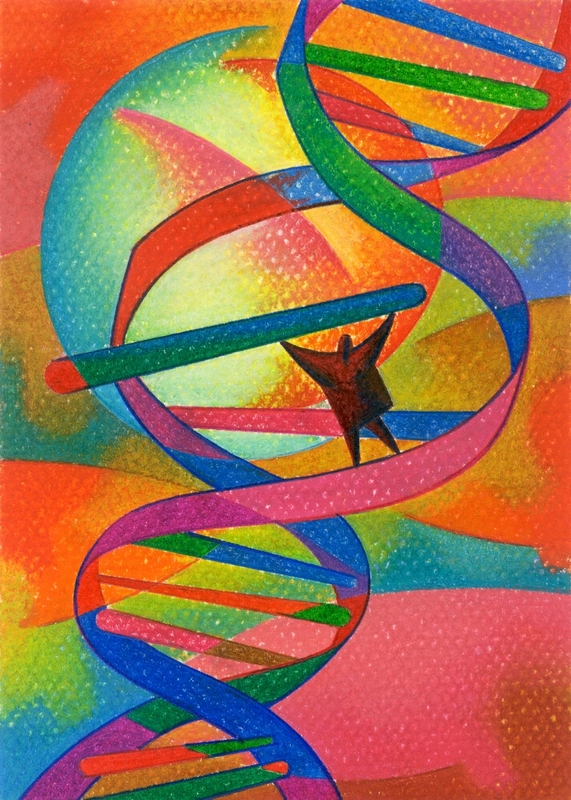 It doesn’t cost you any more, but I receive a small commission which helps fund free educational initiatives in the DNA community, such as this informational page and hundreds of free articles on the DNA-explained blog. Thank you so much and best of luck on your DNA journey. I hope you unlock the mystery of your ancestors! I know I am not alone but my issue is not that common either. I tried finding articles pertaining to this but the closest I got was with mention of Undocumented Orphans. My father was an orphan so therefore I have no clue as to my grandfather’s surname. I tried checking to see if there was some record and while my grandmother, who I take my Harris name from never married this is where the difficulty lies. I did my Y-DNA via FTDNA and I am getting tons of Exact Matches at the 12 and at the 25 marker levels. Am I wasting my time and money even attempting to find this mystery grand-dad? I have a good idea this is where I am getting more of my Irish ancestry from since my mother has nowhere near the Irish in her, as I did her DNA via Ancestry. At any rate, one thing that I do not get is how can I come up with literally hundreds of exact matches although, of course, none at the 37 marker level. So at the 25 marker level they say that we go back 13 generations or 325 years. If the surname stays the same how can I have all of these different surnames. It’s bad enough I don’t know what surname I am looking for. So this is really a two-part question in that how should I go about trying to solve this (would it be best to somehow concentrate on a possible adoption record) or is there a way with Y-DNA that I can fairly expect to find something – I have no name and most others do. I am aware that FTDNA would not, even if they could, give me a surname on a plate but I am still trying to make sense of having oodles of Exact Matches when there are so many different surnames, albeit Irish. I appreciate your weighing in on this when you get the chance. I recommend that you contact dnaadoption.com. They teach search techniques for what you need. They also have volunteers to help. You need to call the vendor you bought the kit from. I can’t help you.